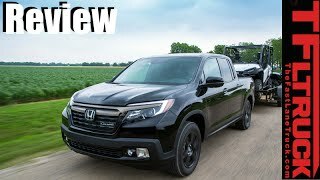 At the North American International Auto Show, Honda unwrapped its second generation Honda Ridgeline 2017. Featuring a stunning body the truck is loaded with sufficient power and offers lots of power to cover the boulevard. 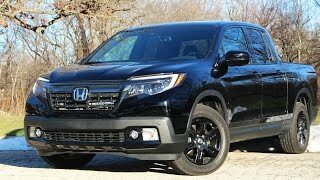 Let us have a look at the detailed review of Honda Ridgeline 2017 to know in detail about it. The interior of Honda Ridgeline 2017 resembles a lot to the pilot model that we saw recently. However there are some changes making this different and the lieu includes a traditional shifter knob in place of push-button controls. The steering wheel is mounted with numerous controls while the center stack is given a cleaner appearance. Talking about the entertainment and tech features, model is equipped with eight-inch infotainment screen and has control buttons housed on the left side of the screen. The infotainment system comes integrated with Apple CarPlay and Android Auto, There is also a massive TFT display making the instrument house and featuring a digital speedometer accompanied with tachometer, gas and temperature gauges in the form of analogue. 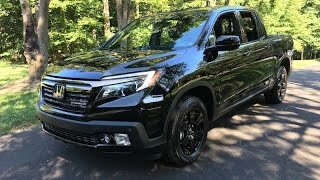 Thus rounding up the entire interior details of Honda Ridgeline 2017 I would say, it is tech oriented, comfortable and offers enough space for passengers and cargo both. 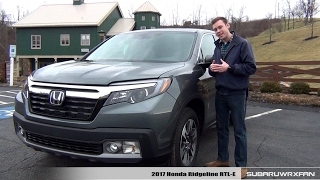 The exterior of Honda Ridgeline 2017 is undoubtedly a lap ahead of its predecessor model. Starting with the front fascia, the model features chrome accents over its top portion. The entire setup is designed upon the ‘squarish’ theme. Be it the fog lights in bumper or the vertical turn signals. The main grille features the traditional Honda logo while the projector beam headlights come integrated with LED daytime running lights. You can notice the accent lines running through the gates while the tailgate features a simple metal piece like look. At the rear end the bumper features chrome accents just like the one noticed at the front. By opening the tailgate the trunk becomes accessible for wet or dry storage while the flat bottom design makes it more spacious. Thus rounding up the exterior details of Honda Ridgeline 2017 we can say it’s elegant and stylish with no-so-show-off in it. 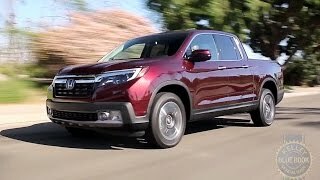 Beneath the hood of Honda Ridgeline 2017 is the 3.5 liter i-VTEC V6 engine generating total output of 280 hp and peak torque of 355 nm paired to six-speed automatic transmission. The performance figures of Honda Ridgeline 2017 are still not revealed but you can expect a satisfying throb to deliver optimum service.